I’ve been privately renting in London for four years now, and I’ve lived in three different houses. Almost all of my friends privately rent too. Until last week, I felt like an old-hand: pretty experienced at handling landlords, aware of my rights and responsibilities, and (of course) how the deposit safety scheme works. But last week came an email from our agents: our landlord asking for a mammoth rent increase, one year into our three-year contract. If we can’t negotiate it down, we’ll have to move out and once again start a seemingly interminable cycle of new tenancies, with all the costs that entails – often up to £2000 in agents’ administrative fees. This is not an exceptional situation. A generation of young London renters have weary tales from years of negotiating with unscrupulous landlords and sky-rocketing rent. And that rent sure feels out-of-control right now: an average increase of 5.6% in London last year, but this average masks the more extreme cases, particularly in the inner London boroughs. In our area, Brixton, 2011–12 has seen a 15% increase in property prices, influencing a similar sharp rise in private rents. There’s no end in sight – the National Housing Federation predicts an astonishing 19.8% leap in private sector rents nationwide over the next five years. Obviously a bit of short-term rent pain is bearable. For most people, there is light at the end of the tunnel in the dream of one day owning your own home. Unfortunately, when you’re paying 40–50% of your take-home salary in rent – an unexceptional figure now for many young Londoners on average wages – the thought of saving any decent amount of money towards a steep deposit becomes an impossibility. Once you add in the price of a monthly Travelcard (which also increased by 6% last year, by the way), the chances of putting aside savings towards a deposit are minimal, however much we may want to. And this is played out in the statistics: according to research by Post Office Mortgages, the average age of a first-time buyer is now 35. In the early 1960s, it was just 23. This isn’t just a problem for individual Londoners and an increasing number of families priced out of ever buying their own home: it is an issue that reverberates throughout society. 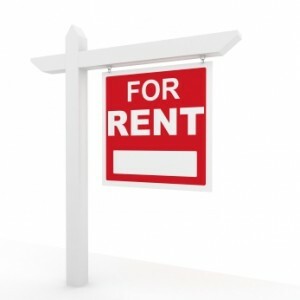 One of the effects of long-term renting is the sense of insecurity engendered in tenants. It is hard to feel like you are laying down roots, or creating any kind of long-term life for yourself, if your rent can be increased or you can be asked to leave at almost any point. It is also hard to build communities or a sense of belonging in an area when some residents are inevitably short-term, or feel at risk of being ‘moved on’ at any point. I love my area and feel a strong sense of place-loyalty; and yet this is worthless if I can be priced out of my street tomorrow. I don’t want to be completely negative: young people are resourceful, and many are finding their own solutions, like purchasing buy-to-lets in other parts of the country while continuing to rent in London. And shared house-buying arrangements are becoming more common. But what we actually need is for the Government to recognise this issue and commit to policy changes to address it. In the long term, of course, we really, really need more houses to be built (33,400 per year in the capital to meet demand). This issue is at crisis point in the inner boroughs right now. Most other European countries have laws ensuring medium- to long-term contracts and restricted rent increases. We desperately need to provide greater protection and security for tenants in this country. We need to address the current standard tenancy contracts that leave tenants hopelessly vulnerable to unpredictable rent increases and unfair landlords. If millions of us are going to face a lifetime of renting – which it looks like we are – then the Government and the Mayor of London need to move immediately to make that a bearable reality.